For many years, folks across the country just like you have trusted "Family Heirlooms" to bronze their baby shoes and other special mementos. We lovingly transform those precious baby shoes into priceless Family Heirlooms to be frozen in time and cherished by future generations. You have our professional commitment of care and quality that has earned us a reputation of trust and reliability from families around the country. 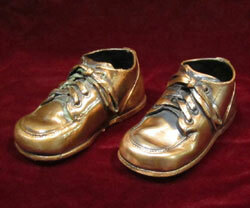 At Family Heirlooms we understand how precious and priceless those little shoes are to you. At Family Heirlooms we believe in doing the job right. All of your priceless mementos are ELECTROPLATED, not dipped or spray painted. Please don't be confused by the inferior method of dipping or spraying your memories with a cheap bronze coating for $39.95. 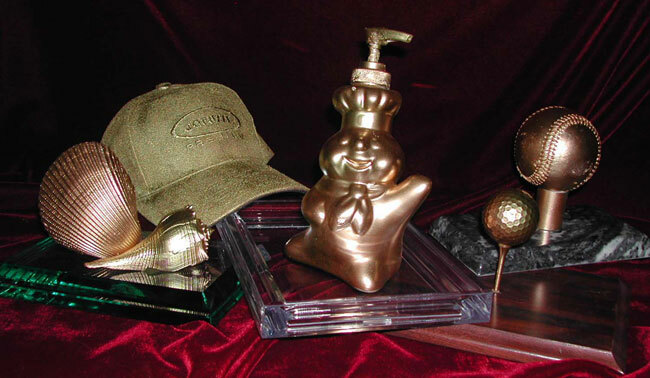 Your family's treasures are priceless keepsakes and they deserve to be Family Heirlooms. We approach every job as if we were preserving our very own memories. You Will Love The Results. We Guarantee It! There are many companies that bronze shoes, but only Family Heirlooms can create a unique and timeless treasure. 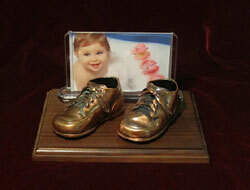 Each set of baby shoes is skillfully electroplated to perfection then permanently affixed on the mount of your choice. Only at Family Heirlooms can you and your child's name be personally inscribed with a heartfelt wish, so your children and grandchildren will always remember your love. Even better, the greeting on inscription will be personalized for you. 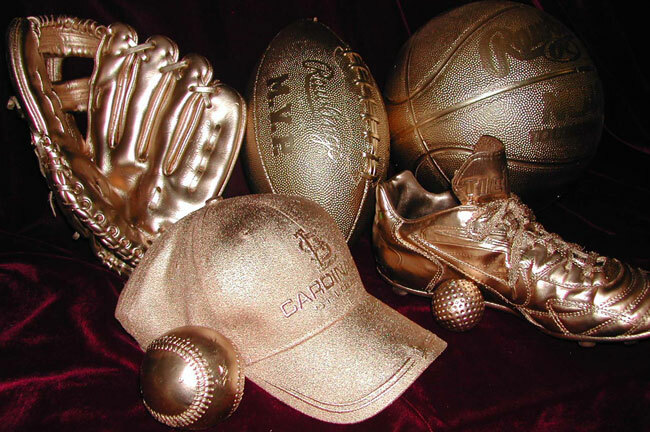 From traditional high-tops and tennis shoes to baseballs and caps, we do it all, heck we've even done a Big Mac. We also realize that styles and trends change so we now offer triple-cote glazing. This process preserves your baby's shoes for future generations to enjoy while allowing the natural colors of the shoes to shine through as though your child has just stepped out of them. Please don't hesitate to call us or send an Email if you have any questions.